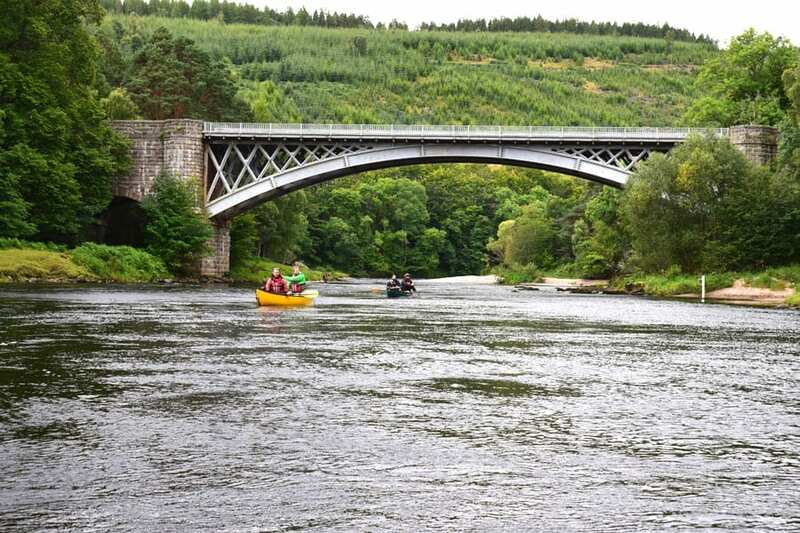 Explore the River Spey – the third longest and fastest-flowing river in Scotland on this 5-day canoeing expedition with qualified and experienced instructors. Cost: £599pp. Early bird discounted price: £400pp if booked before April 30th 2019. Price includes boats, instructor/guide and some meals. Dates: Monday 16th – Friday 20th September 2019 (4 nights). 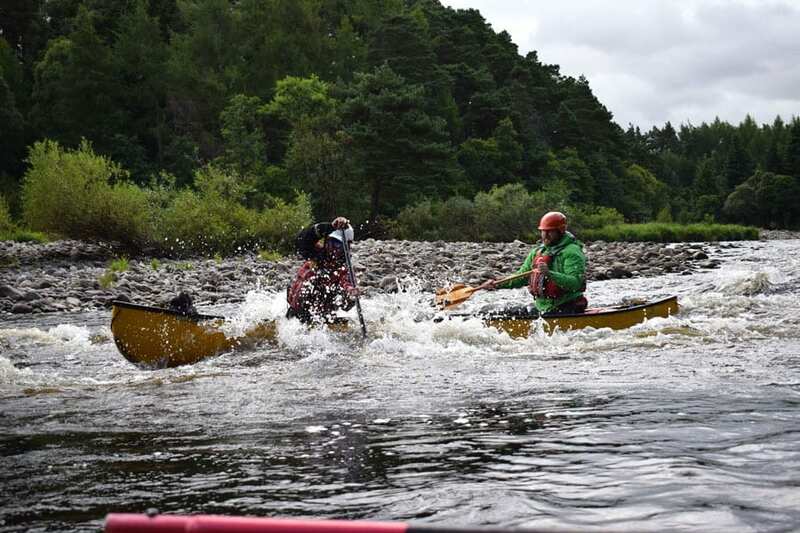 Experience level: To get the best from your expedition down the River Spey, having some canoeing experience is useful but not essential, but being fit enough for a 5-day expedition is essential. 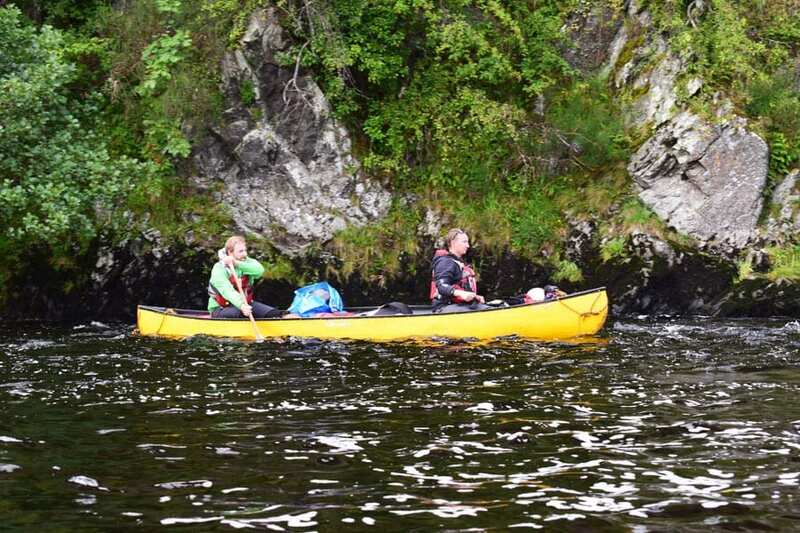 Join Way2Go Adventures on a magical journey canoeing the River Spey, teaching you new skills and/or developing the skills you already have, as well as your awareness of how to read the river and handle your canoe on a trip of a lifetime. 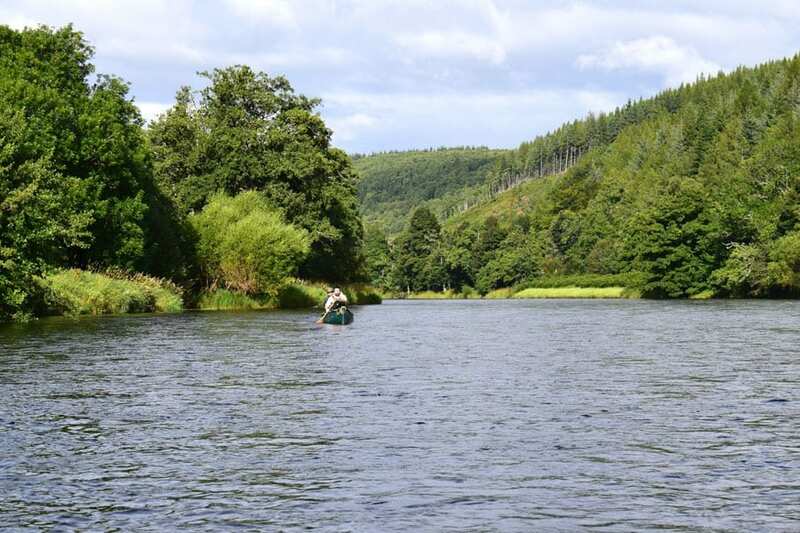 The River Spey offers one of the classic Scottish canoe journeys from Lochain Uvie through Grantown-on-Spey, Cragganmore, and Charlestown of Aberlour to Spey Bay on the east coast of Scotland. The journey is about 60 miles long, broken over 5 manageable days. The River Spey is graded from flat water to Grade 2 rapids. Most of the flat and Grade 1 water is on the first couple of days of the journey, giving you time to get familiar with your canoe before attempting the Grade 2 sections on the following days. On your journey canoeing the Spey there are great opportunities to spot wildlife including birds such as dippers, grey wagtails, buzzards and ospreys as well as otters and salmon just to name a few. Wild or basic camping is one of the big highlights of the expedition and there are usually many happy hours spent around the campsite, exploring the local area and chatting – about what a great day we had, what is coming up tomorrow, as well as our future adventures. Book your canoe adventure on the River Spey now! Our guide will meet you at the Spey Bridge Campsite in Newtonmore, and we will transfer you to our launch point a short trip away. 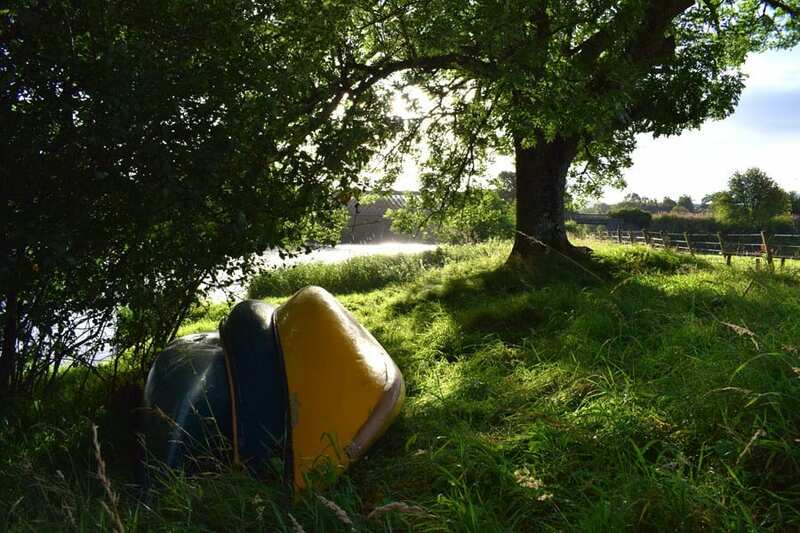 We will spend some time going through basic canoe skills that will help your River Spey experience and familiarise you with how the canoe moves when fully loaded and in faster flowing water before setting off on your journey travelling north east down the Spey. Following breakfast, we’ll get back on the water and continue your journey by canoe, soaking up the Scottish scenery and spotting wildlife. We will also go through the skills you learnt on day 1 before arriving at our camping spot for the evening. The third day is spent developing more ‘river running’ skills and reading the water ahead, as the river starts to flow more strongly. 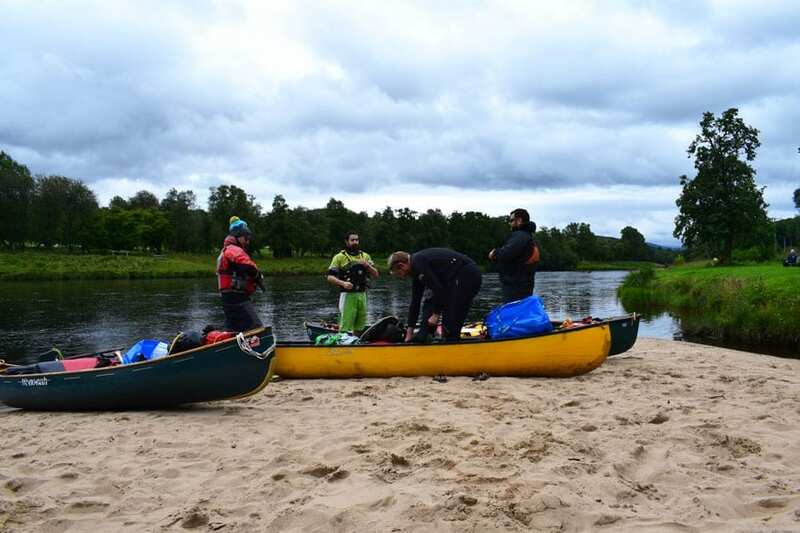 After another great day canoeing, we will look to find a camping spot on one of the many islands in the River Spey. We will spend the morning canoeing into the famous malt whisky region, then in the afternoon we will take a well-earned break from the water. You will have the opportunity to take a tour around a distillery, tasting some local malt whisky; visit Walkers Shortbread factory; or just have a walk around a Scottish village. For the evening we will visit a local bar that offers great food and more whisky to try if you wish. 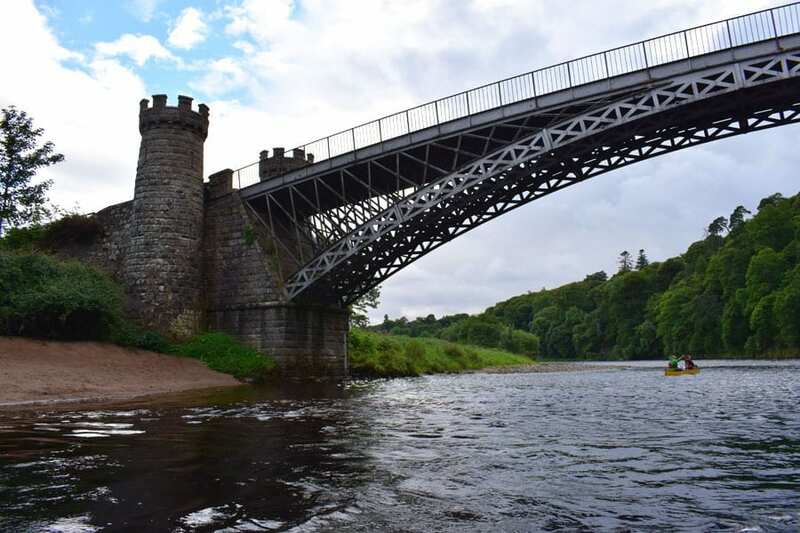 We will continue down the river, enjoying Grade 2 rapids, canoeing all the way to Spey Bay where we finish our canoe journey on the River Spey.